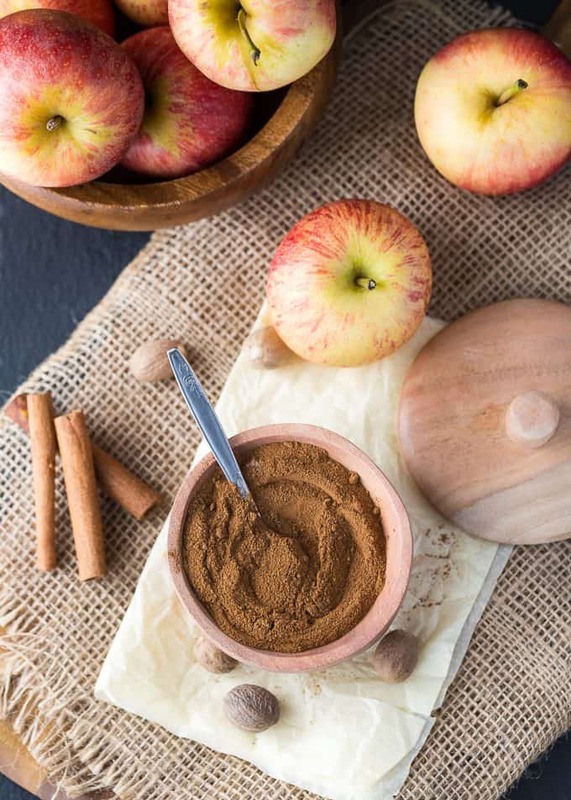 This Apple Pie Spice is a fragrant blend of fall spices! It smells heavenly and adds a wonderful flavour to your fall desserts. I couldn’t find apple pie spice at our local stores so I decided to make my own! It’s similar to pumpkin pie spice with a few tweaks. 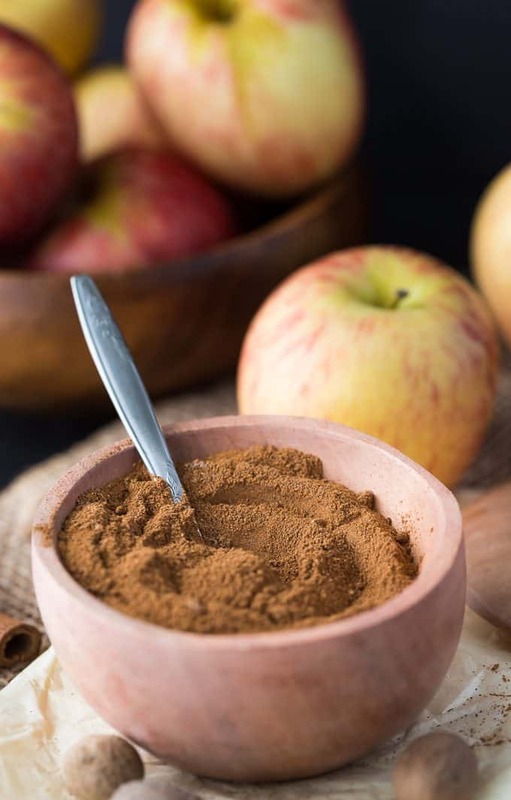 Apple pie spice has cardamon in it, a spice often used in Indian cooking. It’s in apple pie spice too even though it’s not an Indian recipe. 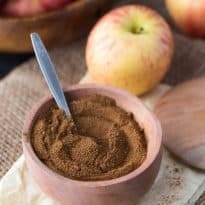 Beyond apple pie, use your homemade apple pie spice to add flavour to all your apple desserts this fall. Think cobblers, cakes, muffins and more. I’m also using it in a DIY beauty scrub I’m creating soon. I also added it to an apple cinnamon soap. It smells divine! Making it is easy. Measure out your spices. Stir them in a small bowl and then store in a mason jar in your pantry. It couldn’t be easier! 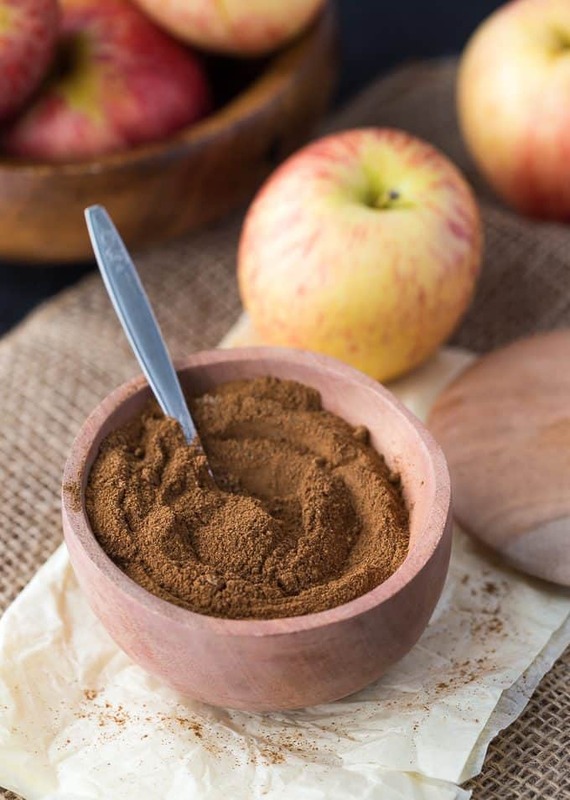 Now you won’t have to try and hunt down apple pie spice in your local grocery store. It smells SO GOOD! It reminds me of fall. I’m still using my pumpkin pie spice from last year so I’d imagine that this one will benefit me (and you!) for a long time to come. Do you make your own spice mixes? A fragrant blend of fall spices! It smells heavenly and adds a wonderful flavour to your fall desserts. Add all ingredients to a small bowl and stir to combine. Store in a mason jar in your pantry. I want to make my own! It is fresh and I bet it is better than the canned ones in the store. Thanks for a great Fall recipe. 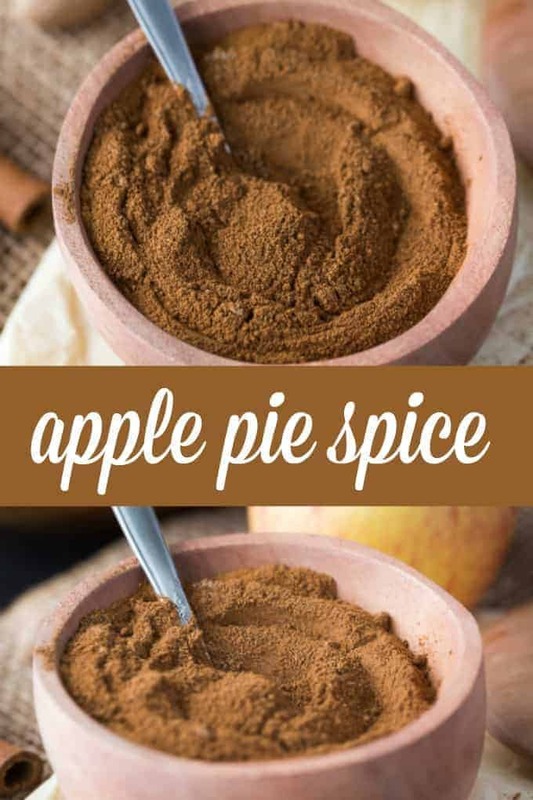 Thanks so much for sharing your recipe for Apple Pie Spice…I can’t wait to try it in a few apple recipes. My favourite ones are apple crisp and apple streusel muffins. hey this is great to have on hand! I love apple pie, can’t wait to make it. I need to make this! Have a few recipes that call for Apple Pie Spice but I can never find it in the stores. May I also suggest mixing a bit of it with brown sugar and then burning/roasting it slowly on your stove in a bit of tin foil… It gives off an amazing scent and quickly diffuses through the house making it smell like baking, apple pie and fall. This looks delish, I would make some but don’t have all the ingredients just yet. Delicious! I always add extra cinnamon. My favorite spice. My husband loves cardamon and I often use it with apples. I would use more cardamon and less nutmeg in my apple spice mix. I love this mix! Thanks! Great recipe and I already have all the ingredients. Thanks for the great recipe. Love apple pie!! 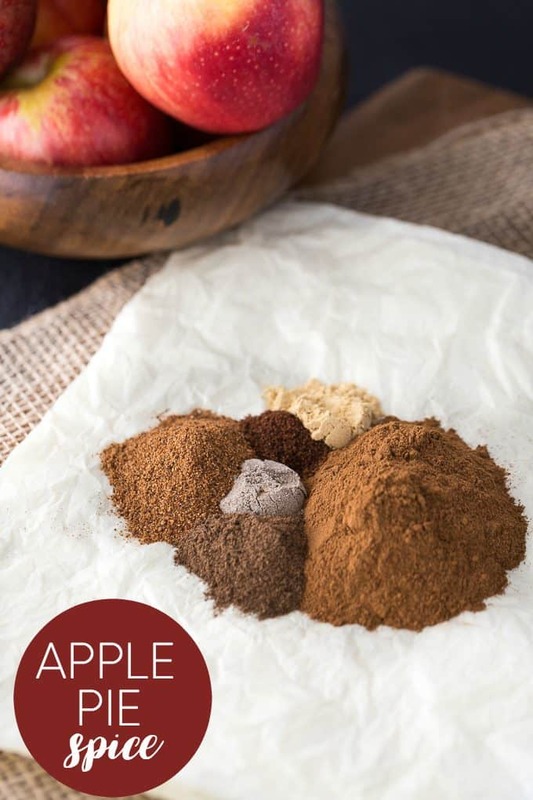 This homemade Apple Pie spice looks awesome… I cannot wait to try it!! This is perfect. You can always have a big batch of this made up for the fall season! Wow! I bet this smells A-MAZING! What a great spice mix, I just love a homemade spice mix! Thanks so much for sharing with us today at Full Plate Thursday and have a great weekend! Nice! I just love making my own homemade spice mixes. I wondered what the difference was between this and pumpkin pie spice. I just subbed pumpkin pie spice for it in a recipe recently. 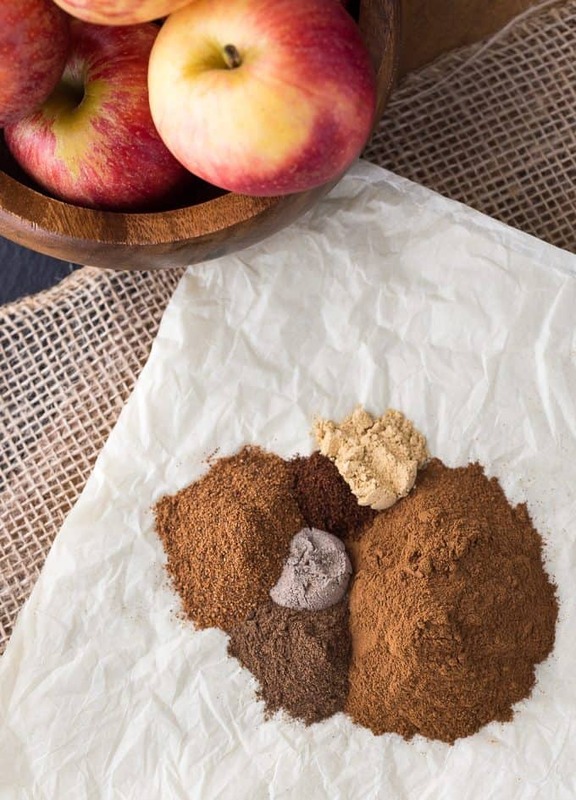 I really appreciate you posting this Apple Pie Spice recipe. I have saved it and written it down. How much should one use? Thank you again. Depends on the recipe! I usually use about a teaspoon.